DAVE BROWN "LiteFlite" Ø 125 mm 2 piece. 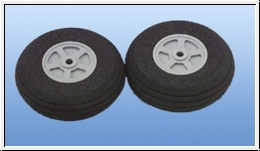 Lightweight, durable foam rubber wheels with longitudinal groove profile and very good damping properties. 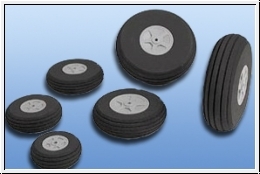 The axle holes are 4 mm and can be drilled to 8 mm. Weight: 74 g (weight on one piece). 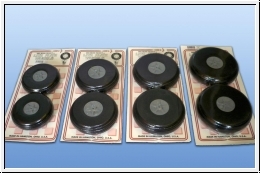 This Product was added to our catalogue on Saturday, 28. May 2011.